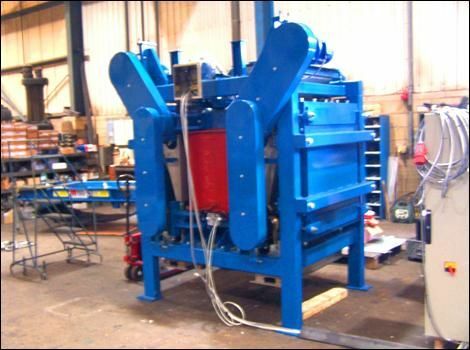 Our induced roll magnetic separator is used for the continuous extraction of small magnetic particles from certain minerals to produce mineral purification for a wide range of mineral and ceramic processing industries. 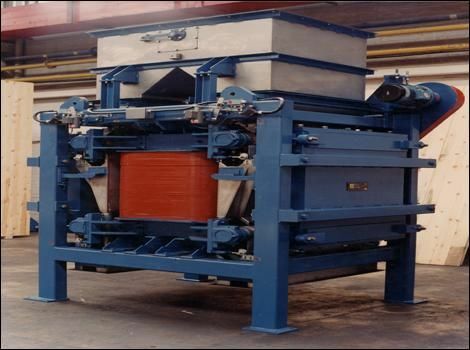 The material being treated is fed from a hopper or vibratory feeder at a controlled rate onto a high intensity magnetic roll. Magnetic material attaches itself onto the roll face or is deflected towards the roll. Non magnetic material is thrown off the face at a normal trajectory. Magnetic material is discharged off the roll face at a point of lower magnetic intensity aided by a brush. A splitter plate is interposed between the two product streams. These induced rolls have been perfected by engineers who have a lifetime of experience in this field. 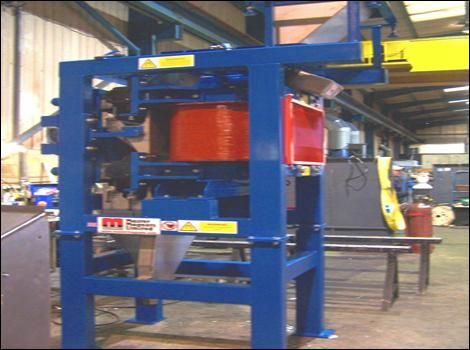 The induced roll separators are available in either 1, 2 or 4 rolls. The roll arrangements can also vary depending on the application and requirements.We manufacture a range of sizes to suit your application.